The Hungry Stoneware Pet Dish from Rosewood is a high quality, dishwasher safe bowl. The Placemat is polypropylene and comes with the matching design. Please note: The bowl and placemat are sold separately. 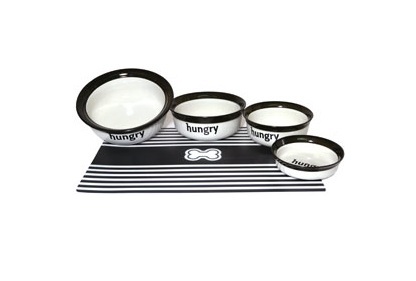 There are currently no questions for Rosewood Hungry Stoneware Pet Dish / Placemat - be the first to ask one!